The Rugby World Cup is a fabulous occasion for a whole wealth of reasons. It’s the most concentrated dose of test rugby you’ll ever get, it’s a grand stage for new heroes to be made and old ones to truly leave their mark on the game. And then there’s the big one – the shirts. While we get occasional splurges of new shirts around the start of the various countries’ test match seasons, the World Cup dumps shirts from every major rugby playing nation on earth in our laps at pretty much the same time – it’s a feast of new gear. What’s more, the Rugby World Cup rules state that every team in the tournament must have both a primary and alternate strip to get around any colour clashes that may arise through the tournament, meaning that certain teams that don’t usually bother with such things have to get the collective design juices flowing to produce a change shirt. 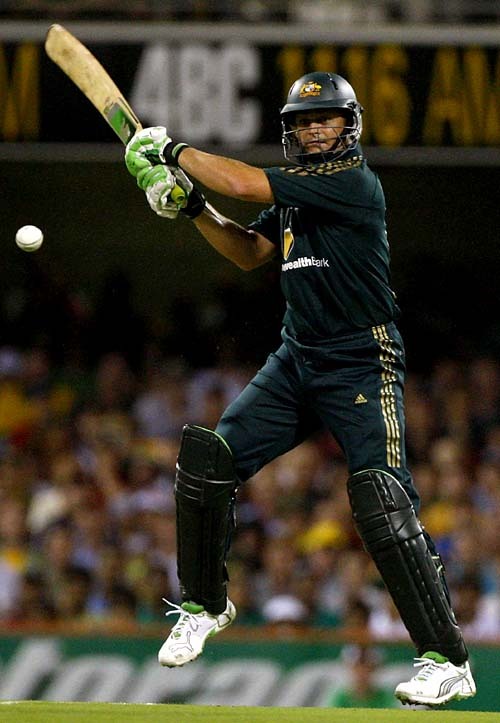 Australia are one such nation – playing in gold as they do, there’s usually no call for them to need an alternate shirt. Precious few other countries in world rugby use any shade of yellow as a primary colour, and in your average season won’t face any team they could potentially clash with. World Cup rules is rules, however, and so here we have Australia’s offering. Now, it’s an understatement to say that the primary Wallabies World Cup shirt from ASICS has been causing quite a stir with purists, who are aghast at the eye-catching take on the green and gold, and while we can understand their objections to something so defiantly modern, it’s worth remembering that not everyone likes the clean, classic retro look. 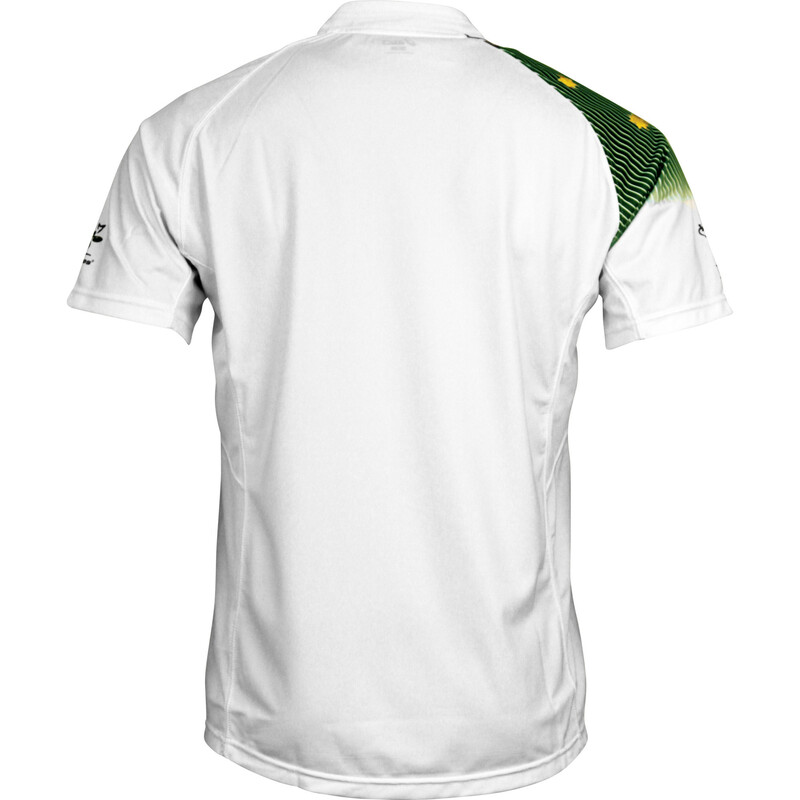 The alternate shirt is a simple palette-swap of gold for white, with the controversial green bits, including that shoulder motif, remaining unchanged from the home design. With that in mind, you’d think people would be equally aghast, but generally the prevailing opinion has been that it’s rather nice. Indeed, there is something less challenging about green accenting white in this way – it feels more like a nice splash of colour on what would otherwise be a very plain and stark shirt. It’s worth noting that white and green works FAR better than the rather unfortunate gold and white shirt that KooGa produced for the last World Cup, too. One of our commenters suggested that Australia’s alternate shirt should be green, not white, as emerald green was the original primary colour of the Wallabies in the 1930s. 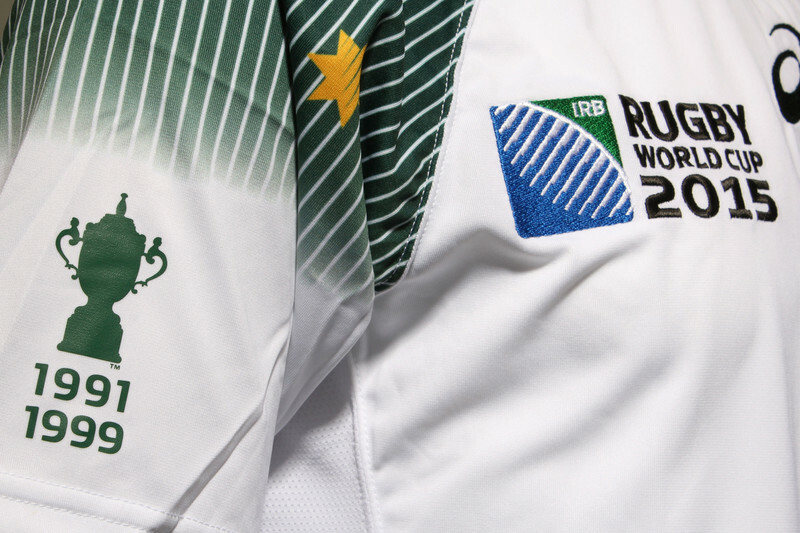 We like this idea, and it makes sense to have a dark shirt to contrast a light-coloured one, but there are a few problems with that, not least that any green shirt made would simply look a bit too much like either a Kangaroos jersey, or even a Springboks one. Australia generally don’t need an alternate jersey, but the World Cup states they’ve got to have one – and in this case, there is a very, very slight chance they might need it in case of a colour clash… after all, it’s not totally impossible that Romania go on an unlikely run through to the knock-out stages of the tournament. Ahem. Regardless though, this is a very nice shirt – the green and white work very well together, and there’s little doubt that despite the similarity of its modern design, it’s a good deal less polarising than the home design. Looks pretty smart..hopefully England’s looks as good! I have to say, I think the only reason this jersey has elicited less outrage than the primary strip is purely because we know Australia will never actually wear it. Other than that it’s just as awful as the other one. By this reasoning the Wallabies shouldn’t wear gold because it looks a little too much like a Socceroos jersey, and we definitely shouldn’t be anywhere near bloody white because it makes us look like f###ing England!!! Now, I get that the boks have dark green, but our ODI boys have worn it pretty proudly plenty of times too and it is the other half of our national colour scheme. Wearing white isn’t silly because it’s a light alternative to a light jersey, it’s just nonsensical for the fact that it’s not a national colour, and worse still is the colour of our most hated sporting rival. 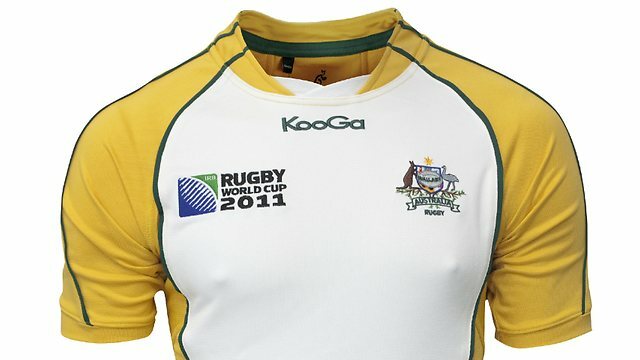 To put it in terms that may communicate how ridiculous it is more tangibly, having a white away jersey for the Wallabies is a bit like the Queensland Origin side deciding to release a sky blue away jersey on the off chance they were to play in a competition where their opposition wore red or something. Not to bang on about it, but a few people have raised this same bizarre and utterly nonsensical defence of a white away jersey in favour of a genuine national colour in green, and I can just never understand how they over come the obvious and comprehensively self-defeating contradictions in their argument. The logic may sound strange to you, Dan, but these shirts are designed to be recognisable, and to stand out whether they’re worn on the field, in the crowd or on the street – from a distance a dark green shirt could easily be mistaken for a Kangaroos shirt. They’re both green and both rugby shirts, it’s a bit close for comfort you’d imagine. The comparison with cricket or football shirts is fair enough, but you can argue that the Wallabies were there first, and they can’t very well change their colours now! But far more important is the Springbok comparison. 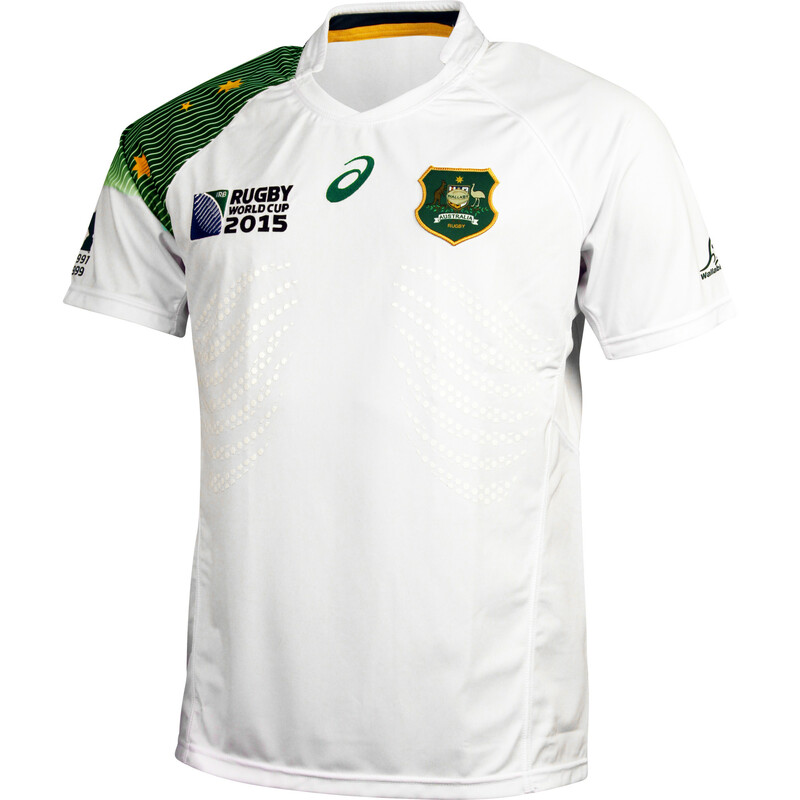 Can you imagine the outrage if the Wallabies had a green and gold away shirt, from both SA and Australia? You need only look at the minor uproar caused when England had an all-black alternate kit for the 2011 RWC in NZ to understand why this hasn’t been done. That said, the two alternate kits ARE too close for comfort, but that’s another matter! There are several problems with this line of reasoning. First, the “from a distance argument” response doesn’t really alter the fact that green and gold tops are worn by a variety of Australian sports teams. Funnily enough though, we actually did wear an all green top for some time along with the Kangaroos and Springboks, but changed to accommodate the politically more powerful boks at a time when rugby here was weaker. So in a sense we’d be reclaiming something we meekly surrendered in the past. Second, you’re arguing essentially that the Springboks own dark green. I’d very much contend that they don’t, but if you go down that path I think you’d have to concede that a jersey colour even MORE synonymous with one team is Black. Yet despite black very much being the colour of the All Blacks, both England and Wales have worn black away strips in recent years, despite black not being part of their national colours anywhere. So if they can appropriate the most iconic team in the world’s colour then why can’t we use green? As for white being alternative for many countries, as pointed out in my tweet that’s generally because white is the colour of many countries shorts. It’s still nor appropriate for any self respecting Australian to wear it though. Half the teams in Super rugby happen to wear some blue variation in their home or away strips, but it’d be a cold day in hell before you saw the reds wear it, and for good reason. Give the Wallabies an all dark green alt kit with gold trimmings at the top of the socks, collar and maybe a touch at the end of the sleeves. If bloody England can deck themselves out in an All Blacks kit over in NZ during a world cup, we are sure as hell in our rights to wear an all green one, and it’d look great. Yeah, we’d say after 80-odd years, we’d say that when it comes to that shade of green in rugby union, the Springboks own it, and Ireland owns the more emerald shade – politics has very little to do with it, it’s just about recognition. Your argument as to why a white shirt is somehow verboten because of its English connotations equally makes a green shirt unworkable for its Springbok connotations. The Wallabies play the Boks three times a year and share a domestic league – that’s a strong rivalry, too. The problem is, whatever colour you choose, you’re going to have problems – White: England; Green: Boks; Black: ABs; Red: Queensland; Blue; NSW… unless you pick an unusual colour, you’re gonna have some people who don’t like it for certain negative associations. The all-green may be an idea, but the single-colour kit can be very hit or miss, and can look a bit leotard-y slat times. Also: and all-green kit on a green pitch would probably piss off TV broadcasters no end as it could be hard to clearly see in bad conditions! At least with white shorts they stand out! So after 80 odd years the Boks own green, but after 100 the All Blacks don’t own black? Also, as for dark colors not working in bad condition, has anyone told the All Blacks, or the Kangaroos for that matter? Again, there isn’t any consistency in the logic here – it all just seems like reaching to prevent us from having green back in any capacity. Just out of curiosity how did you react to the All Black England and Wales kits? There’s difference between black and green! We’re being mildly facetious about the TV thing, but there’s a reason you don’t see too many all-green kits, and how visible they are TV is definitely part of it. You seem to think we object to the green option – as you can see from our review, we don’t, but we understand why the designers didn’t want to create a kit that looked EXACTLY like the Boks shirt as an alt given that they’re both made by ASICS – it would just be hugely confusing! We didn’t care about the England and Wales black kits, though we thought the Maori symbols on the England kit was a bit much. Wales are going all-black again this time around by the way. Also worth remembering that white and black aren’t colours, technically – they’re the extremes of the light spectrum, which is why they go with everything, and are used by everyone. But like we said, no matter what colour you go, unless you pick grey, pink, or something equally unconventional, you’re going to piss someone off because of some perceived association. I have to say I just don’t see the TV thing… I’ve never had any trouble seeing the Kangaroos in their test matches or even the Randwick “galloping greens” when they’ve been broadcast. I do see where your coming from on the ASICS point – you don’t want it to look exactly the same, so some variation would be required. That could be done around the edges of course. But also, from a technical perspective the shade of dark green used by the Wallabies is actually a different one to the boks and kangaroos, with it tending to have a slightly lighter and bluer hue (usually bottle green or something similar), so it wouldn’t be exactly the same there either. I certainly agree with you that you’re going to piss off someone whatever the colour/tone you opt for, and the incredible ridicule the England “All Blacks” copped during 2011 is tantamount to that (although some how I think the English enjoyed that). But partially at least, that’s why I want an all green kit for the wallabies, because if we both concede that any choice will piss at least some people off, then we shouldn’t give any more weight to the Springbok/Kangaroo comparison complaints than any other. It doesn’t need to be a regular thing, I just think it would be nice even if it’s just used for one match as a bit of a mix up and to do something different in the way England do with their alt kits (because like us they don’t really need one). Either way, dark green would be significantly more relevant to Australia than white and I think it would look brilliant, and as a fan would buy one in a heartbeat. It just looks classy and ominous – would love to see the Wallabies decked out in a Rugby version of something like that. Perhaps if we one day get adidas on board we could see it. P.S. the above cricket example is also a good bit of contrast for why ASICS don’t get design in any form… their cricket kits have been terrible too. Interesting conversation. Can anyone tell me why the Wallabies couldn’t have a light blue jersey similar to the commemorative jersey that represented the original games they played during the late 1800’s? As a devout Wallaby supporter, I find it a great shame that the Wallabies have had to dip into the Alternatives world. 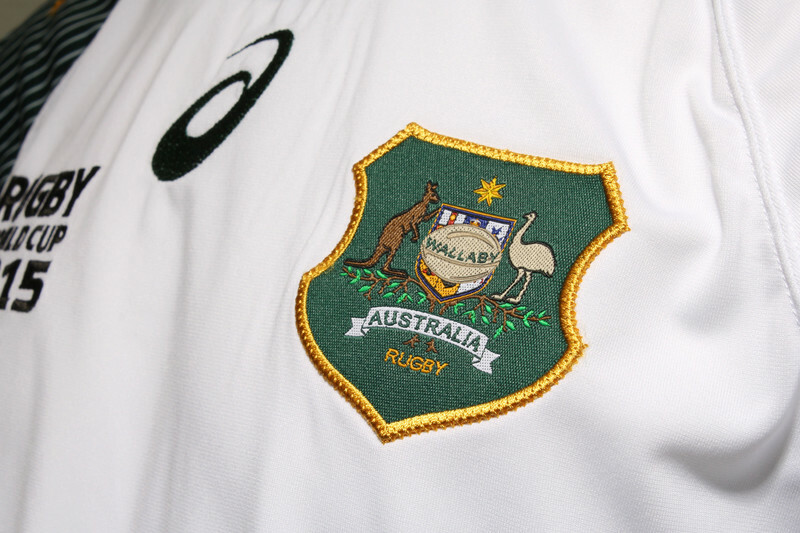 The ‘sacred’ Wallaby jersey was one of the last great jerseys to require an alternative version. When you think about it, other iconic teams such as The All Blacks, Springboks, Manchester United, Arsenal etc all have an alternative Jersey before Australia and I think that is a great shame. However rules are rules, but for Australia to be asked to submit an alternative jersey is like asking the All Blacks to put colour stripes on theirs. This puts International Rugby League as one of the last professional contact sports that don’t require an alternative jersey. Understand about the All Black alternative shirts, don’t know what they think about it though! I remember the 2011 alternative Wallabies Jersey. Thank (insert deity here) that they never wore it unlike the All Blacks who had to wear theirs in 2007. Is 1995 v Romania the only time that Australia have had to wear an alternative since switching their primary colour from green to gold (which was the previous alternative)?